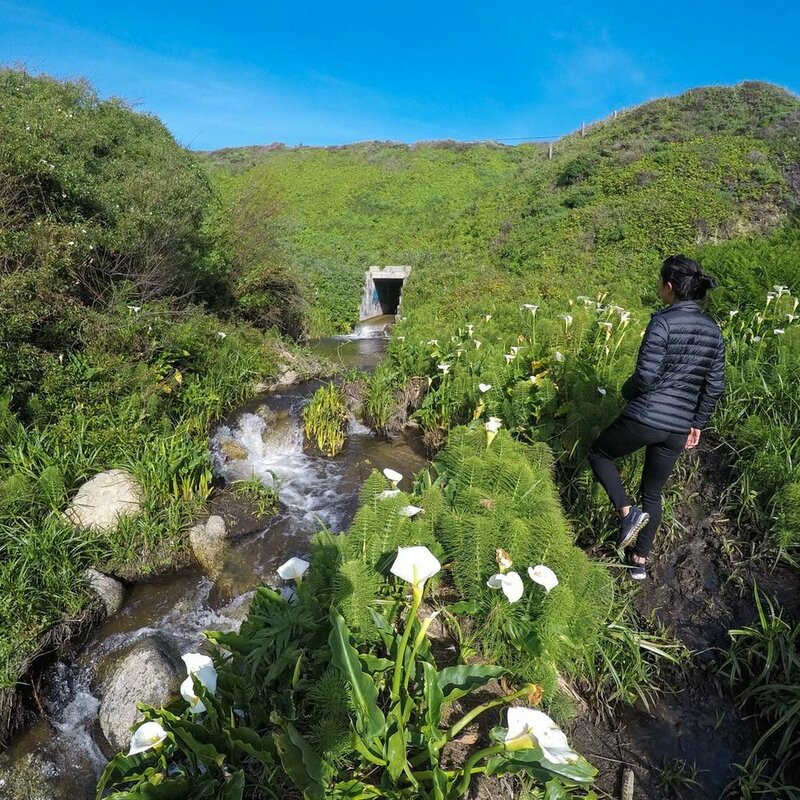 This short coastal walk down to Garrapata Beach is the perfect pit stop during a Highway 1 road trip. 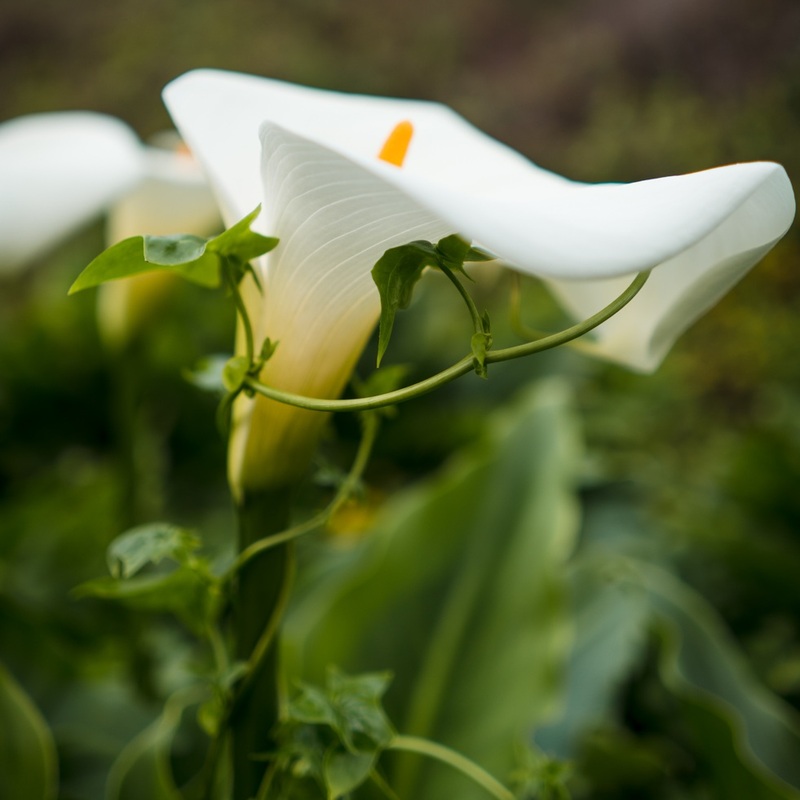 Plus if you time it right and come during the spring time, the small valley will be filled with tons of blooming calla lilies! Note: Poison ivy can be found in the area, so be sure to cover up and wear long pants. Try to be aware of what bushes you trek through, and change your clothes as soon as you can if you do come into contact with any of the plants! The start for the trail to Calla Lily Valley is on the west side of the Highway 1. Although there are no signs alongside indicating the start of the hike, there is a small dirt turnout on the side of the road you can park at. After parking, it's really just a short walk to the beach from here. 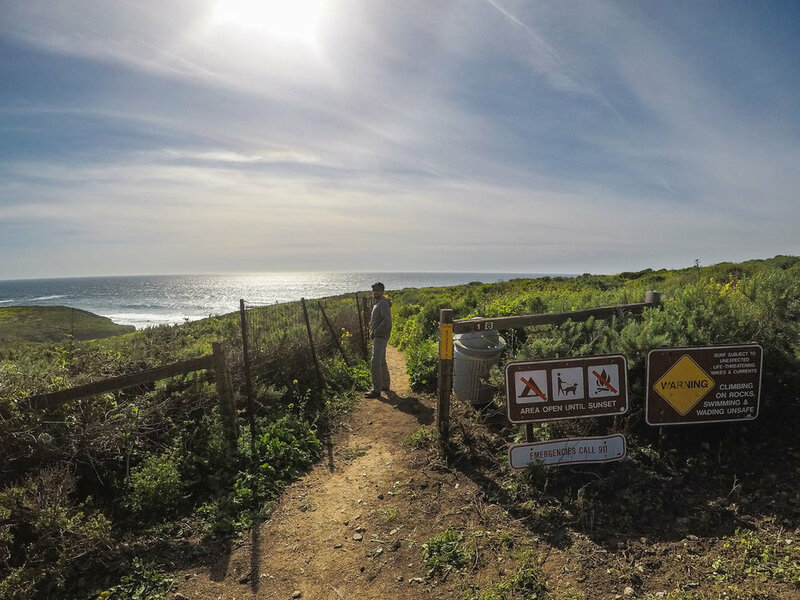 With views of the ocean ahead, there are lots colorful wildflowers alongside the path. 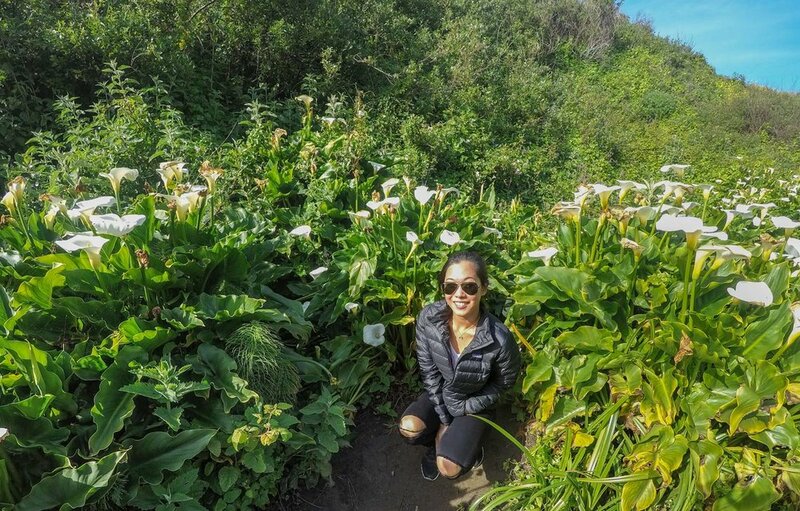 After just 0.2 miles, you'll reach the stairs to head down into the small valley with the lilies. 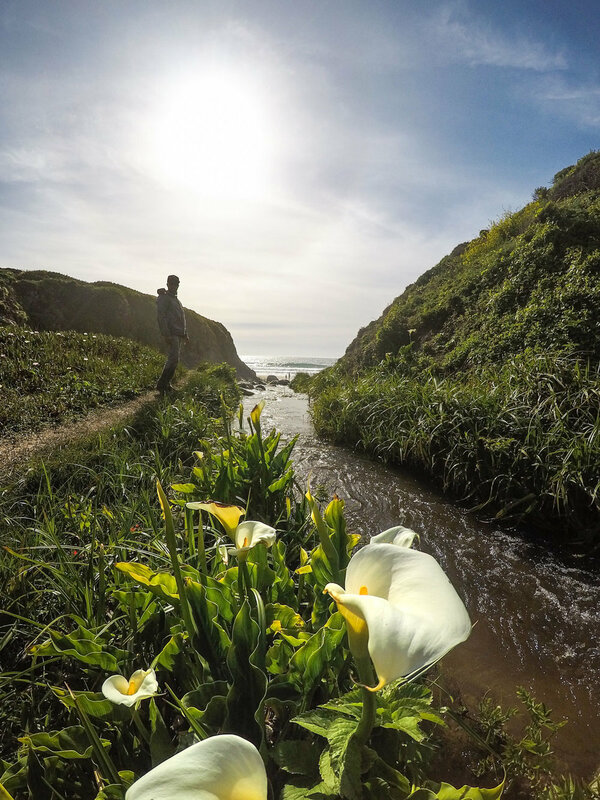 Here the Garrapata Trail crosses Doud Creek and continues up along the ridge, or you can follow the creek down through the valley to Garrapata Beach. I've never seen so many lilies in one place, and I couldn't believe they were all here naturally on their own! The coastal California version of wildflowers! 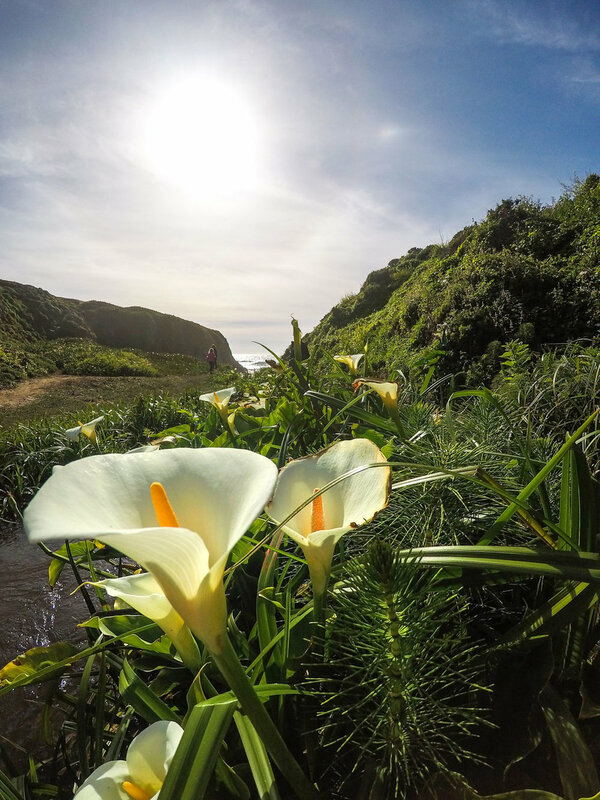 After hiking up the canyon and checking out all of the lilies, we headed back down to catch Garrapata Beach on a gorgeous sunny day. This would be a great beach to picnic and lay out in warmer weather. After drying off and putting our shoes back on, we headed back to the car to continue along the highway. Spotted several surfers out catching some waves here! 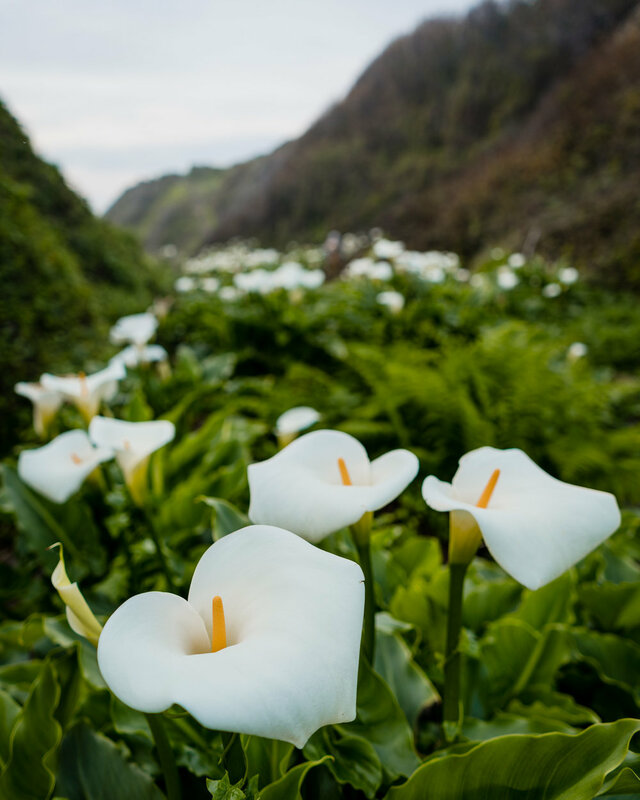 Calla Lily Valley is such a unique spot, as how often do you get to see an entire valley of blooming lilies? Garrapta Beach was also one of the nicest we saw along the Highway 1. 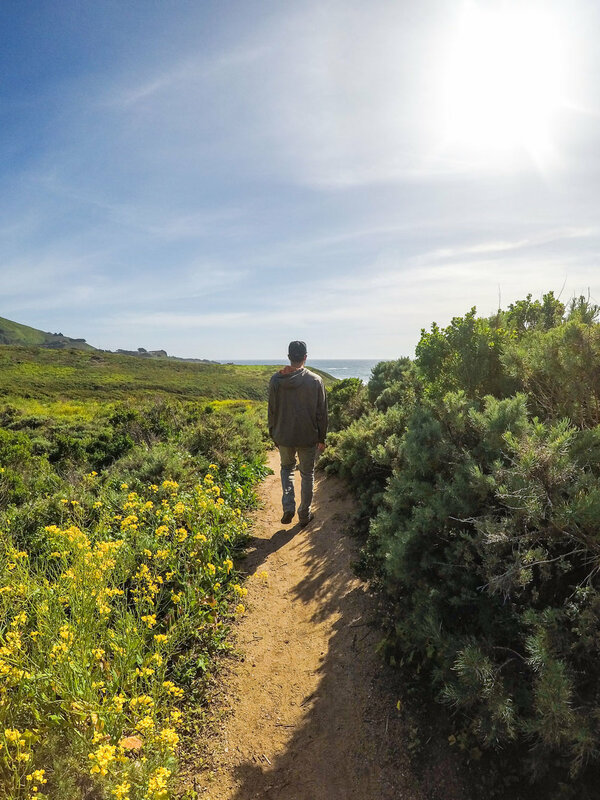 This spot and hiking Point Lobos State Park were my two of my top highlights of the area, let me know if you end up checking it out!